Get away from it all while still in the heart of destin! 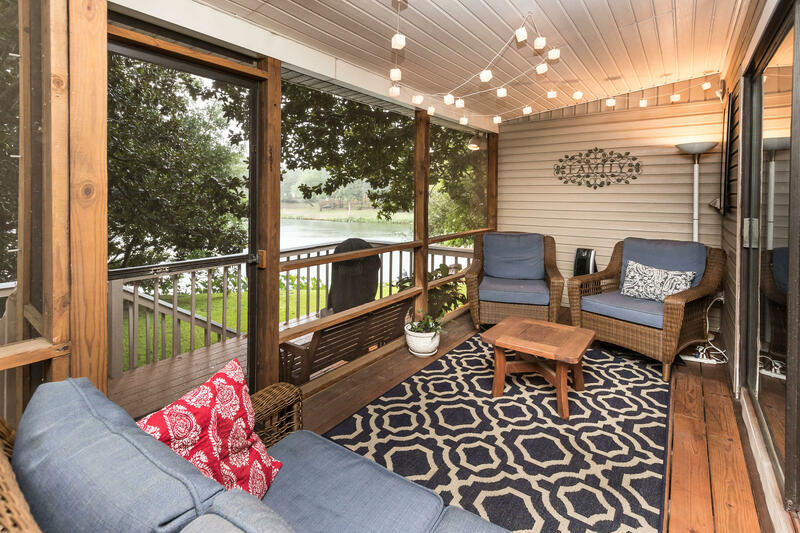 Enjoy lake views from every level-on the screened porch or one of the many decks. Inside you'll love the gleaming hardwoods, large picture windows and stone fireplace for those cooler winter days. The kitchen features a breakfast bar, silestone counters and newer appliances. Separate dining with more lake views! Don't miss the master on the main with access to relaxing on the deck. 2 additional spacious bedrooms upstairs with balcony access and full bedroom/bathroom on ground floor with its own entrance and steps from your dock. Pack your pole and let's drop a line in at your new lakefront home! For more information or make an appointment to see property ID 817248.